We spend a lot of time thinking about book covers at Cassava Republic. Its therefore very gratifying to read about when others appreciate our efforts, such as here, on the excellent Design Nigeria blog. 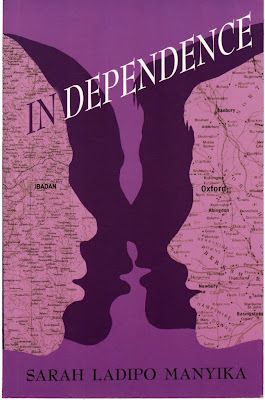 In Dependence was designed by Lynn Hatzius. You covers are always so good. It is wonderful to see that your cover edition of books are always so much better than the Western ones. I have all your books so far and I buy them 'cause of the covers. I know, it is sad, but people do judge a book by the cover. Alas! I have yet to read In Dependence! first time here. like the book cover though. nice work. I really really love good book art. The truth is people really do judge books by their covers at least to a certain extent. I was discussing the same thing the other day, how naija covers are not as good as books published in UK or US. The art here is good but I wonder at the quality of the paper.